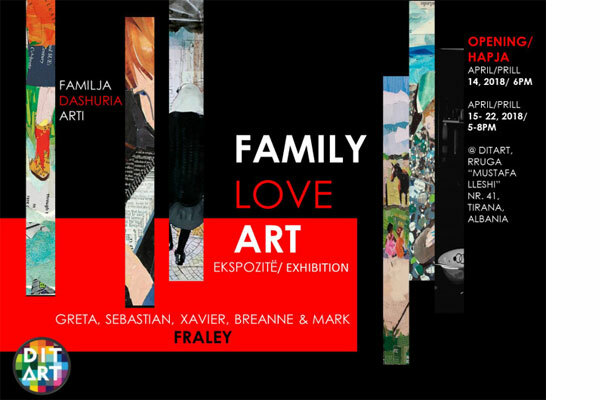 An American family chronicles life in their new home in Tirana through individual and collaborative artwork. Their impressions, successes and failures come to life through different voices. Xavier, 12 years old is confident with ink and line work, Sebastian who is 9 enjoys experiments in color, and Greta the youngest, 6 years old, has some really interesting characters she has drawn, and together with their parents Breanne and Mark, they will present a combination of beautiful artworks made during their stay in Tirana.